Unique moisturiser with antioxidants, Exo-P™, Grape seed oil & New Zealand Blackcurrant seed oil. This product helps improve the appearance of skin for a healthy complexion. 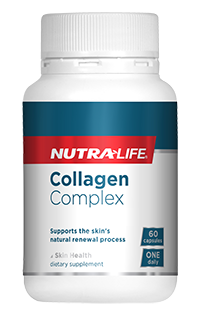 Powerful skin formula with New Zealand marine collagen 300mg plus antioxidants from New Zealand Grape seed, Kiwifruit & Blackcurrant. High potency antioxidant which may assist in melanin reduction. 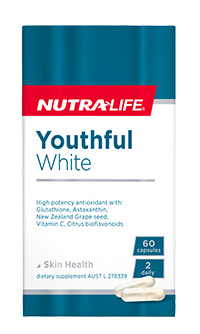 This formula combines Glutathione, Astaxanthin, New Zealand Grape seed, Vitamin C and Citrus bioflavonoids to support healthy skin. Help moisturise and brighten the appearance of skin with this unique formula. This unique product contains French Polynesian EXO-P™ to protect the skin along with β-WHITE™ to reduce the appearance of dark spots.